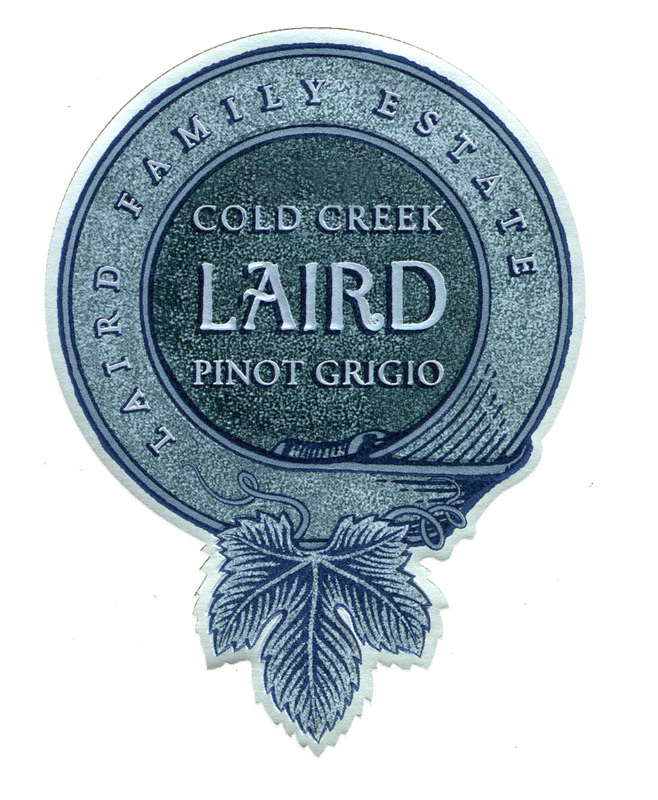 Laird Pinot Grigio Cold Creek is made from 100 percent Pinot Grigio. The Laird Family’s Cold Creek Ranch is a 300 acre vineyard located on the Sonoma side of the Carneros district. The cooling sea breezes off the San Pablo Bay are perfectly suited for Pinot Grigio as well as Chardonnay, two grape varieties that thrive in this special vineyard. Tasting Notes: The clear yellow sapphire hue sparkles in the sunlight, with inviting aromas of juicy passionfruit, honeysuckle and Juicy Fruit gum. The palate is balanced with medium acid and enticing flavors of melon, apricot, vanilla, and subtle mineralty, leading to a focused, mouthwatering finish.